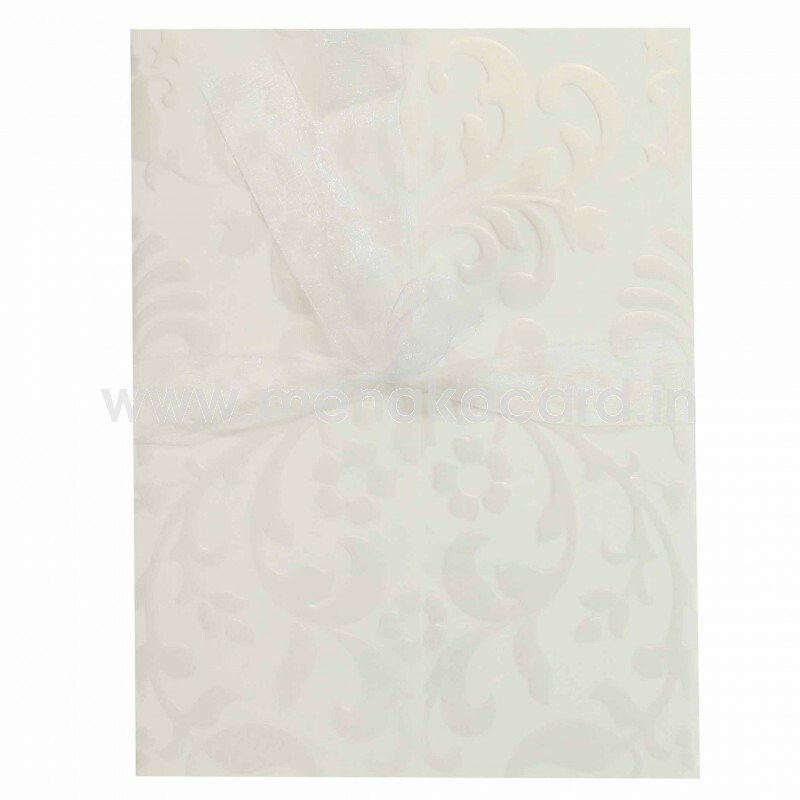 This graceful pearly white door folding card is made from a pearl sheened white shimmer board. The doors of this card have a bold and beautiful floral motif embossed into it, held in place by a delicate white ribbon. The door open to the solid card holder flap holding two inserts with contrasting text. 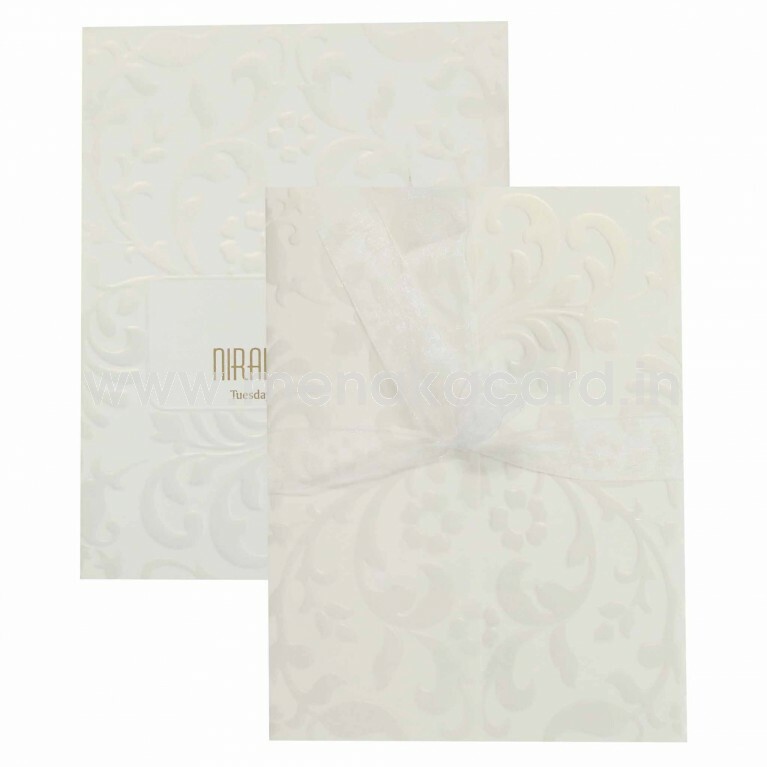 The envelope matches the card in material and design. 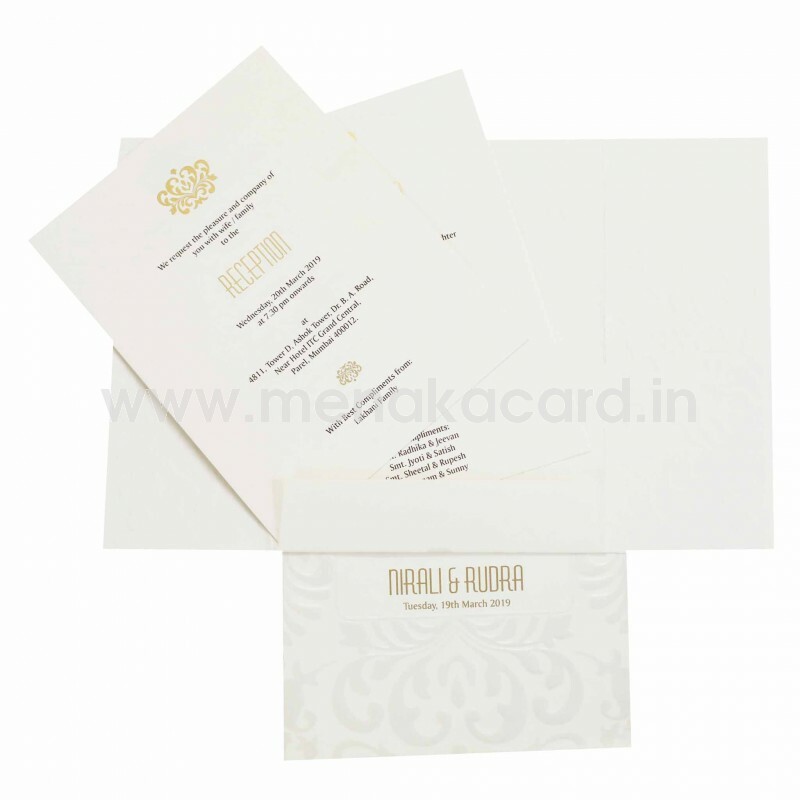 This can be used for Christian and Multi-faith weddings, receptions and engagements.